The Barraca de Curucull is a dry-stone built shepherd’s hut, located somewhere between Santanyí and S’Amarador. 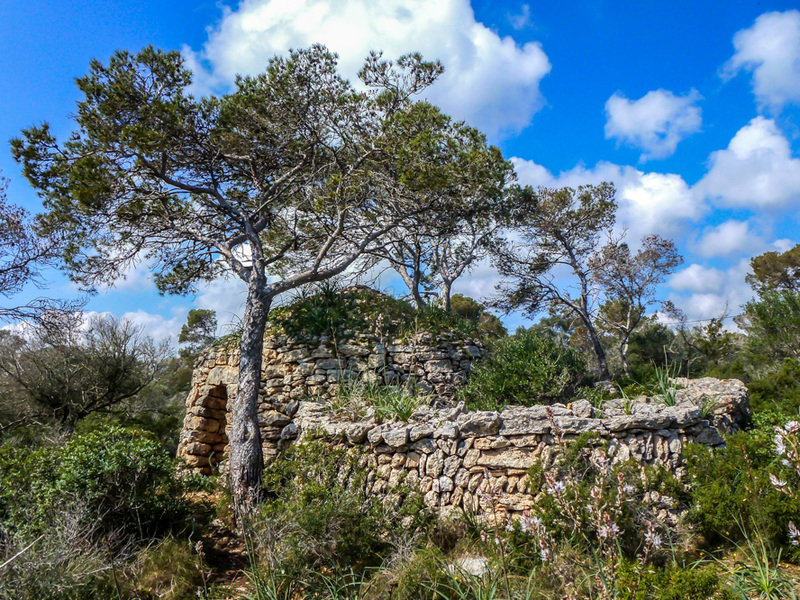 Some of these old shelters in Mallorca are a few centuries old. They were used as a shelter for forest workers, charcoal burners, limestone workers, seaweed collectors, wood collectors, quarrymen, woodsmen, fishermen, coastguards, snow workers and sometimes, livestock. This Curucull shed is in a perfect state of conservation and can be entered into to admire the domed construction from below and close-up. Its conical roof assembly is of the same design as we find in the old wood-fired bread ovens, here on the island. This hut also had walled outside coral areas, again extremely well-preserved. The photo was taken near Santanyí, Mallorca, Baleares, Spain. The date: March 13th, 2014.